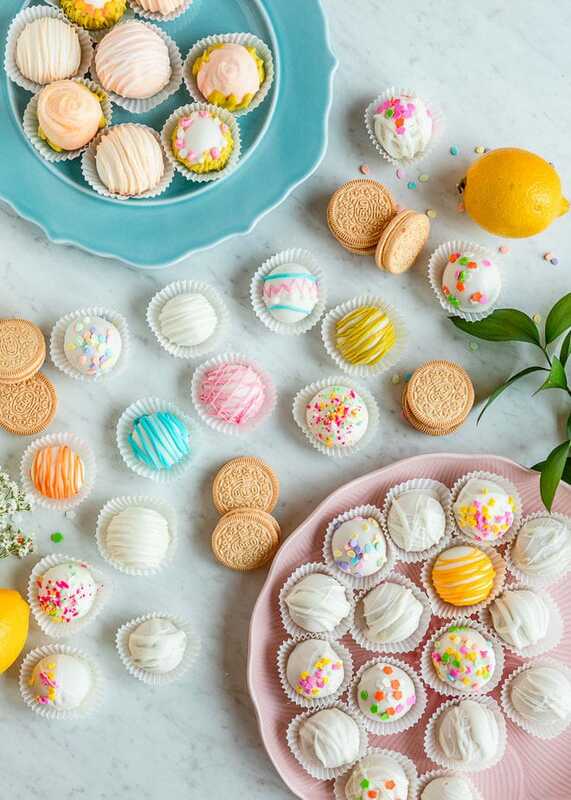 These Lemon Cookie Balls are inspired by seasonal lemon-flavored Oreos. They are made like traditional Oreo Cookie balls but taste lighter and brighter, like lemon cheesecake. 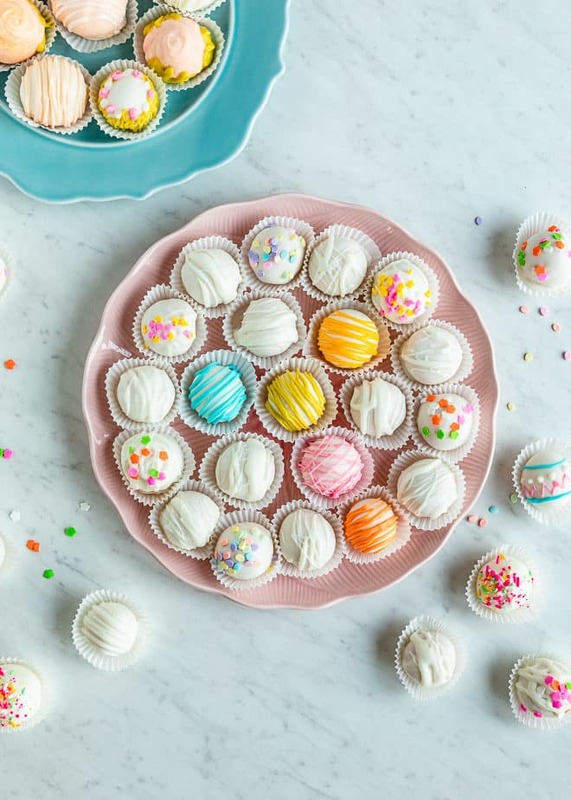 These balls require only 3 ingredients, but optional the decorations will add a pop of color to your holiday table! 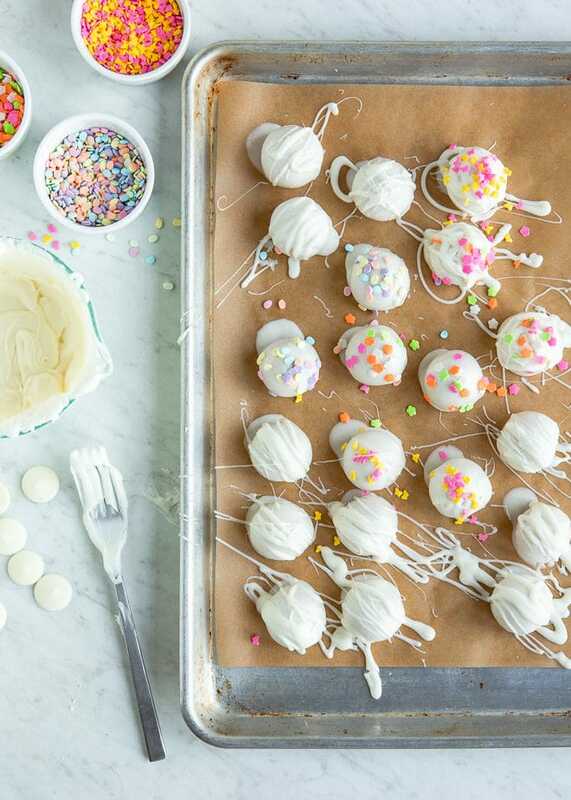 Making Lemon Cookie Balls for the neighborhood, your church, or a shower? Click and slide the number next to “servings” on the recipe card below to adjust the ingredients to match how many you’re feeding—the recipe does the math for you, it’s that easy. How do you crush Oreos for Lemon Cookie Balls? 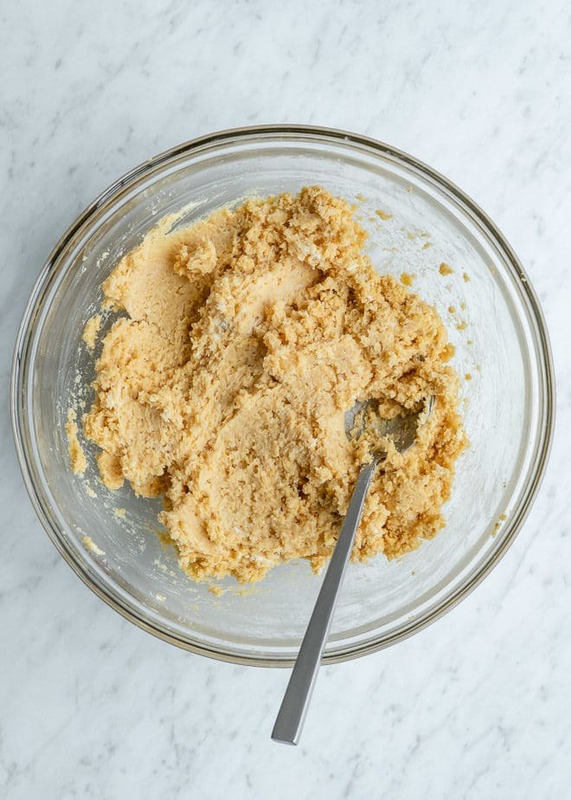 There are two options – in the food processor or in a plastic storage bag. 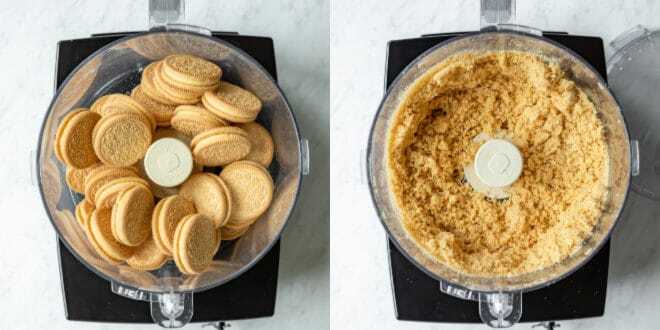 In the bowl of a food processor fitted with the blade attachment, pulse the Oreo cookies until they resemble crumbs. This should be about 10-15 pulses. If you’re using a plastic storage bag, close the bag tightly and smash with a rolling pin until they are fine crumbs. Transfer to a large mixing bowl and continue with the next steps. 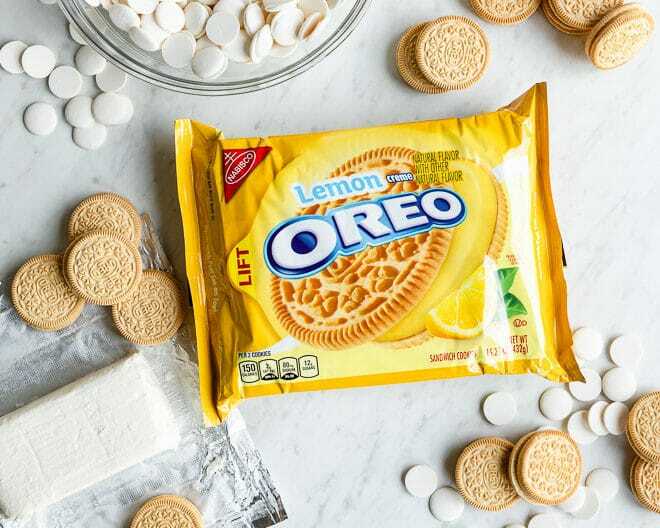 Finely crush the Lemon Oreo cookies. 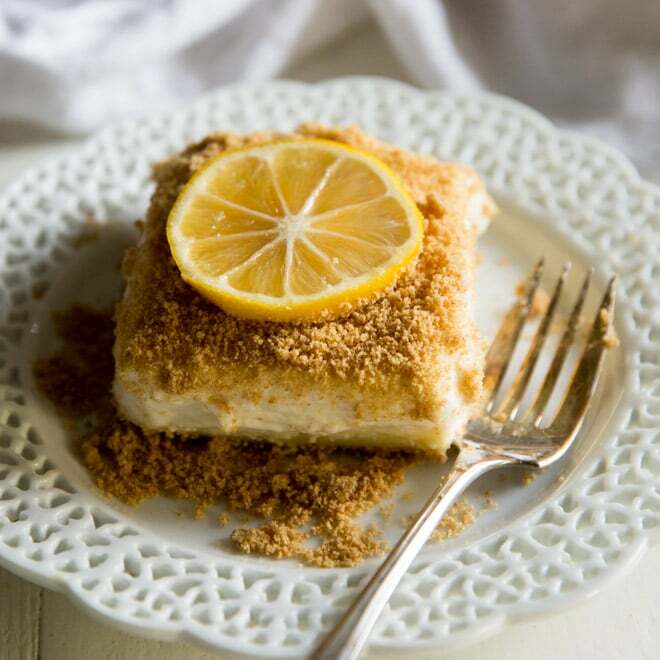 You can do this in a food processor or by hand with a plastic bag and a rolling pin. Add cream cheese and mix to combine. Shape into balls and freeze 10 minutes. 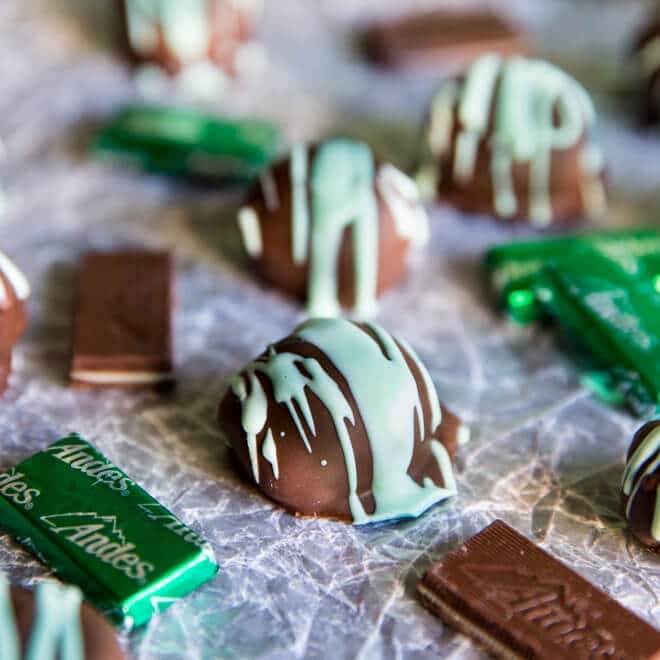 Melt chocolate with a double-boiler or in the microwave. Roll frozen cookie balls in melted chocolate and decorate if desired. Refrigerate 30 minutes. 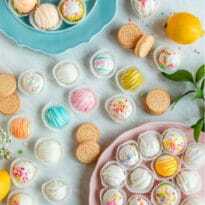 Do Lemon Cookie Balls need to be refrigerated? Yes, since they contain cream cheese. 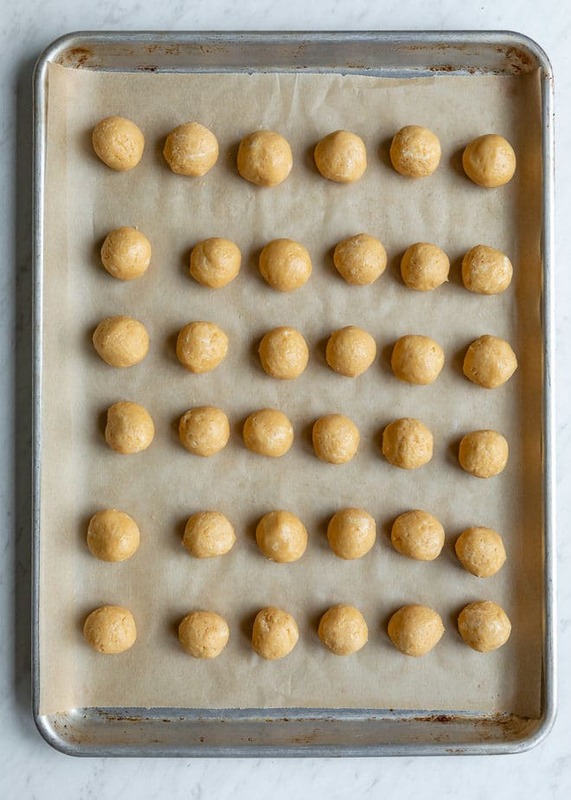 Once you have finished dipping the cookie balls in white chocolate, decorate them as you like, set them on a parchment paper lined baking sheet, and place them in the refrigerator for at least 30 minutes to set. Once they are set, transfer them to an airtight container or simply cover them with plastic wrap, and keep them stored in the fridge until ready to serve. How long do Lemon Cookie Balls last in the refrigerator? 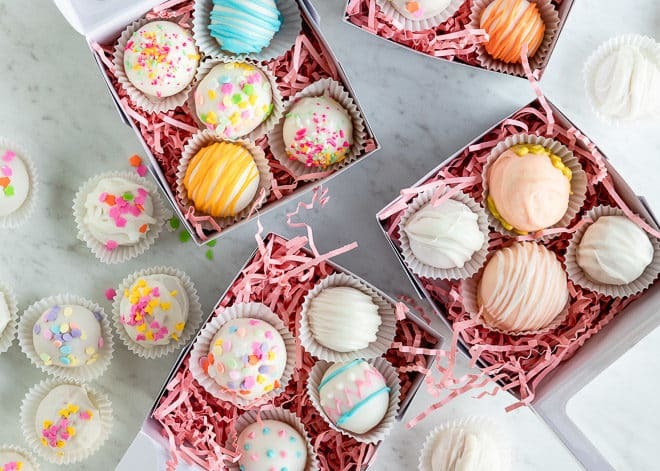 If kept in an airtight container or covered with plastic wrap, the cookie balls will stay fresh for up to a week in the refrigerator. You can also store them in a plastic freezer storage bag in the freezer for up to 4 months. 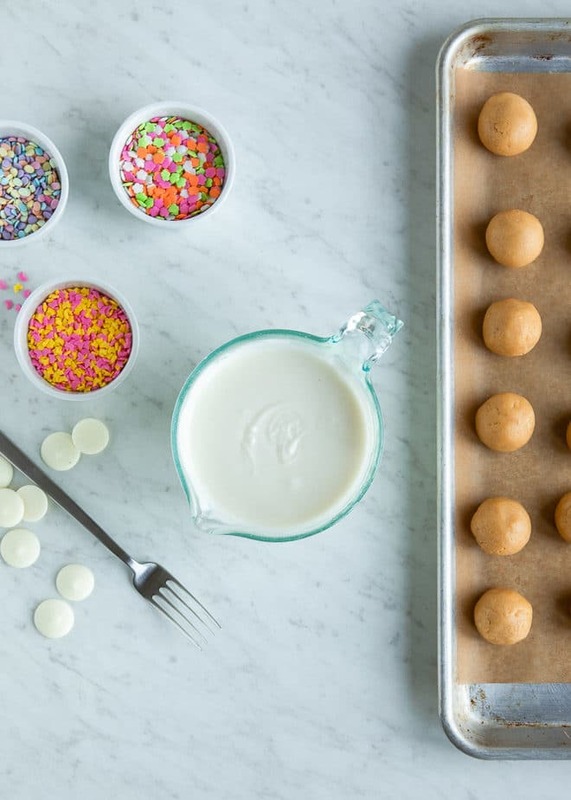 Can the Lemon Cookie Balls be made ahead of time? Yes! 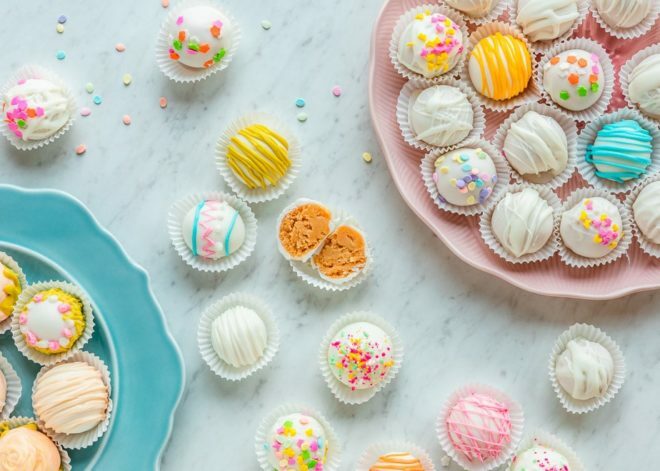 Since the cookie balls will stay fresh in the fridge for up to a week, you can make them anytime during the week leading up to Easter. Or whenever the craving strikes! 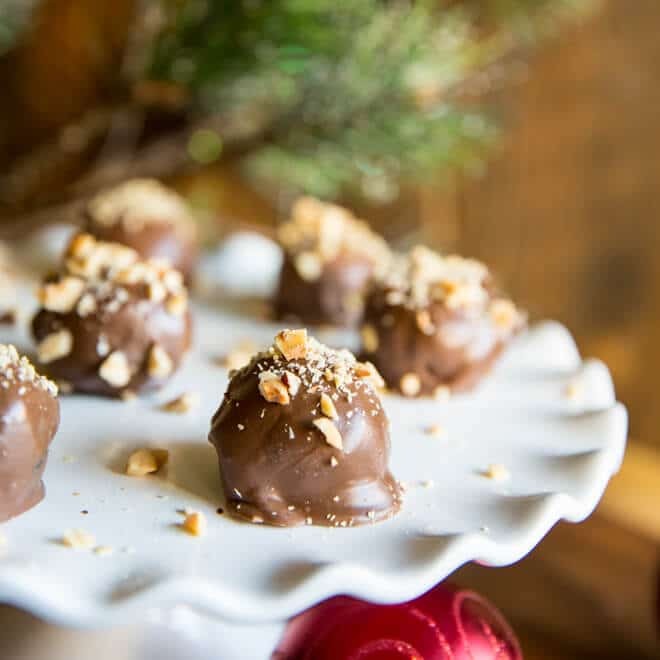 Just make sure you remove them from the fridge 30 minutes prior to serving to take the chill off – the cookie balls will soften and taste better at room temperature. How do you melt white chocolate for dipping? Place an inch of water in a small sauce pot and bring up to a simmer. Stir frequently until the chocolate is just melted. Stir between each interval, until just melted. The gentle heat is necessary for white chocolate since it only contains cocoa butter, which means it has the tendency to seize easily and turn lumpy or grainy. The best way is to keep the white chocolate from overheating. To do this, remove the bowl of white chocolate from the heat source when there are still a few small lumps of unmelted chocolate. If you keep stirring, the residual heat will eventually melt the remaining pieces of white chocolate into a smooth and silky consistency. What if the white chocolate seizes? Sometimes, seized chocolate can be saved by whisking in 1 tablespoon of butter or vegetable oil. 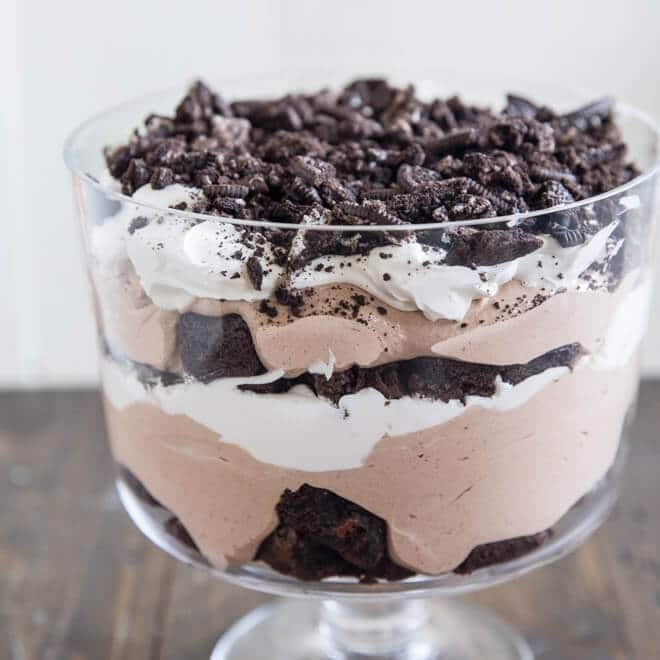 If this doesn’t work, simply reserve the chocolate for another recipe that incorporates melted chocolate into a batter, such as a cake or cookie, as it won’t be smooth enough for coating. Meanwhile, set chocolate in a bowl over a pot of simmering water (double-boiler method) or melt in the microwave at 50% power in 30-second increments. 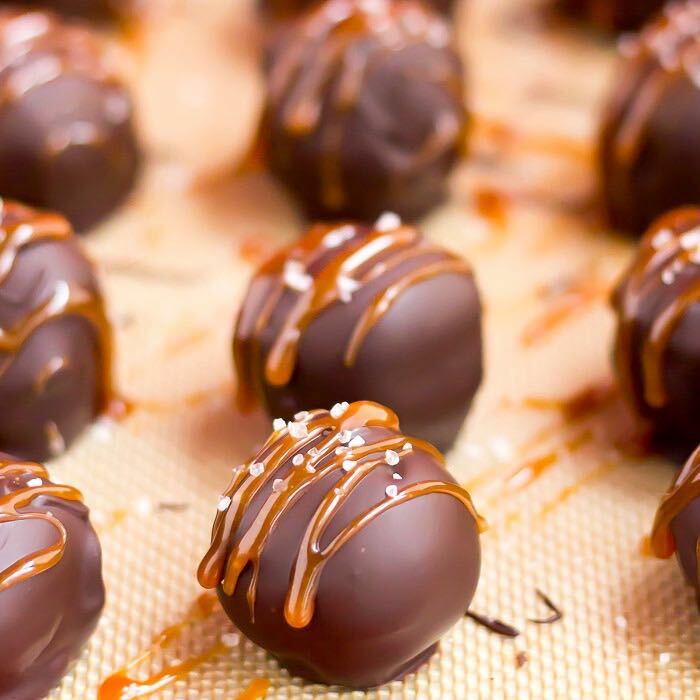 Using a spoon, carefully roll chilled balls in melted chocolate. 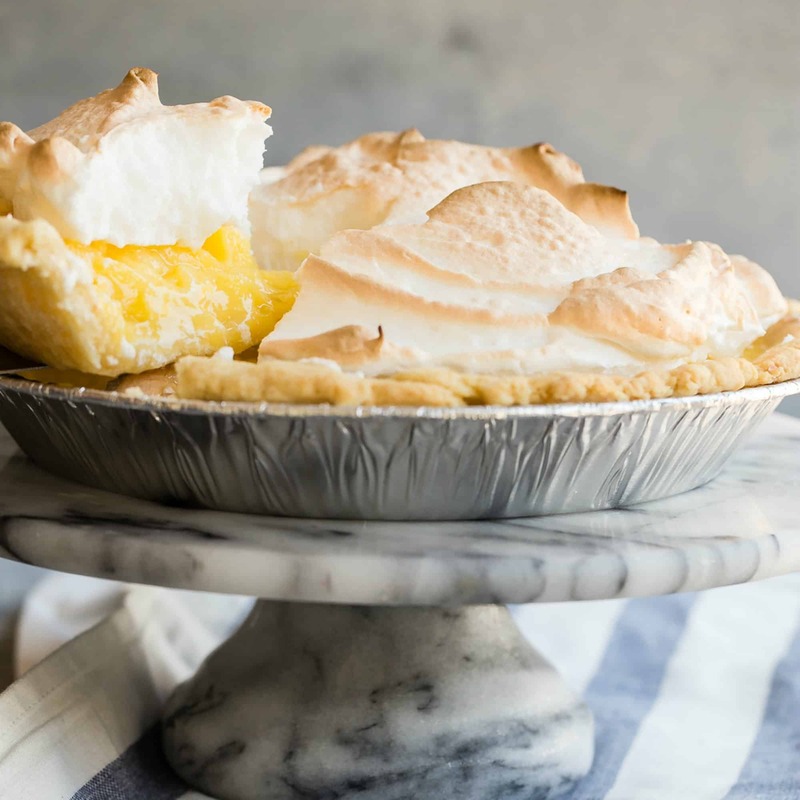 Place in single layer in baking sheet lined with parchment or a silicone mat. Refrigerate at least 30 minutes or until firm.